What if a state held an alligator hunt in an area where residents have seen alligators regularly for years, but in a month's time no hunters saw any gators? That's what happened in North Carolina, where the marshes along the coast are known to have plenty of gators. But the state has held an alligator hunt for the last month — the first in more than four decades. Some of the best-looking gator habitat was in the hunting zone, with 20 hunters randomly selected from more than 1,800 applicants. "It looks like some great alligator habitat. 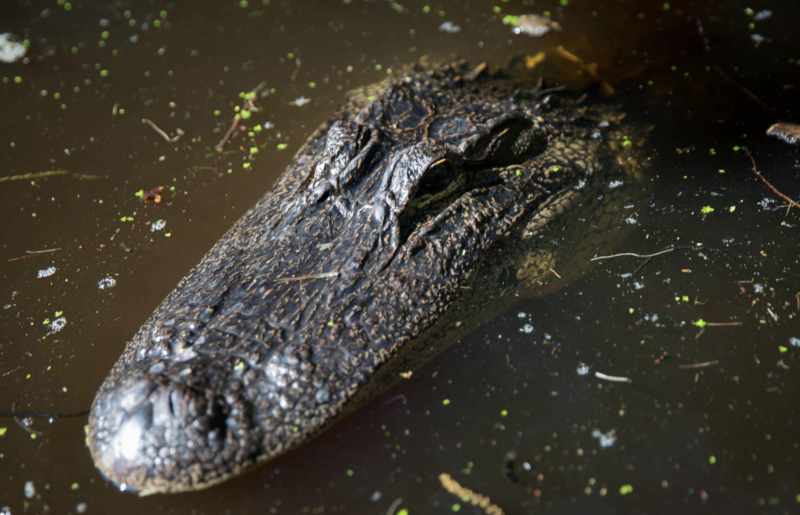 The problem is there aren't any alligators," Jeffrey Raub told CBS 17. Raub was one of the hunters chosen to receive a tag. Successful alligator hunters must affix a federal CITES (Convention on International Trade in Endangered Species) tag with a specific number on it to the gator. This was the first North Carolina alligator hunt since 1973. State wildlife officials said residents regularly contact them with requests for assistance due to nuiance gators. Interactions, of course, would increase if the big scaly lizards haven't been hunted in 45 years. "A permit to hunt any animal is not a guarantee," Alicia Davis, a biologist with the NC Wildlife Resources Commission Conservation, told CBS 17. She said multiple factors, including possibly Hurricane Florence, could've displaced the alligators. The hunting zones are in northeast North Carolina along the coastal marshes north of where Florence struck on Sept. 14.